Step into the Dansko Liliana for a fit full of surprises. Hidden goring creates on/ off ease and a flexible fit while the hidden 2” wedge provides you with a boost in both height and style. 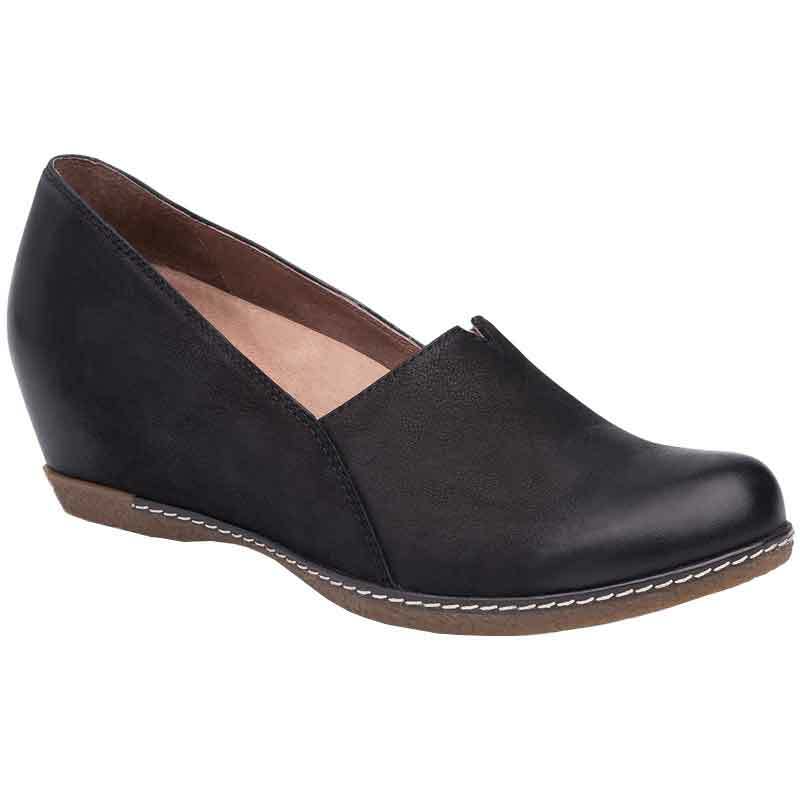 The upper of this wedge is made from nubuck leather and features a notched vamp. The interior is lined with soft leather linings to wick away moisture while a removable PU footbed provides arch support for all day comfort. You’ll get lateral stability and underfoot protection from the tuckerboard shank and the Liliana is finished off with a durable rubber outsole for traction. It’s no surprise that this Dansko wedge is as comfy as they come.